A tributary of the River Haddeo, it rises on Quarme Hill near Heath Pault Cross and flows in a southerly direction on the east side of Exton Hill and on through Brompton Regis. 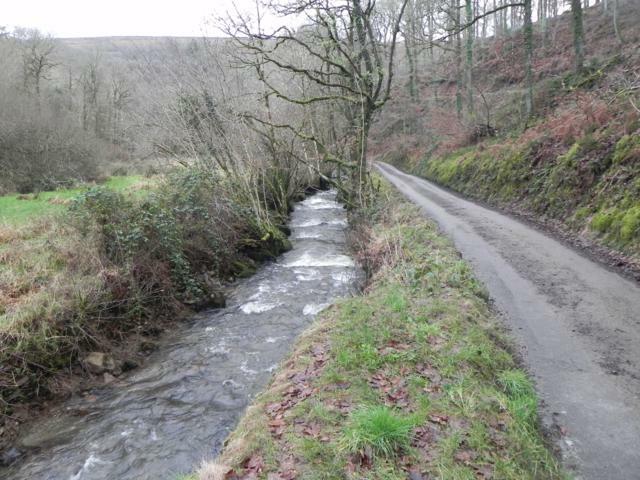 Just south of Brompton Regis it is joined by a tributary stream that originates on Goosemoor which runs down through Kings Brompton Forest on the western side of Blagdon Hill, The combined flow continues to Hartford where it joins the Haddeo. The river flows for a distance of approximately 5.5 miles from source to the confluence with the river Haddeo.